Three men and a woman have been charged after a 20-year-old woman was confined and assaulted on Tuesday morning. 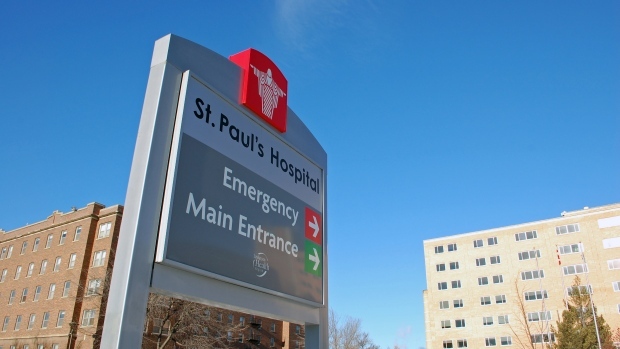 Police were called to St. Paul’s Hospital around 7 a.m. after receiving a report that a woman was seeking medical treatment for an assault. Investigators believe she had been at a home in the 300 block of Avenue S South shortly after midnight, where she was assaulted and held against her will for hours before being released. During the assault part of the woman’s finger was cut off. Police executed a search warrant at the home and arrested four people and seized ammunition and two guns. A 20-year-old man has been charged with aggravated assault, unlawful confinement and robbery. A 45-year-old man has been charged with careless storage of a firearm, unauthorized possession of a firearm and breach of probation. A 30-year-old man has been charged with possession of methamphetamine and breach of recognizance. A 38-year-old woman has been charged with unauthorized possession of a firearm and careless storage of a firearm. The guns and gang unit is still investigating.